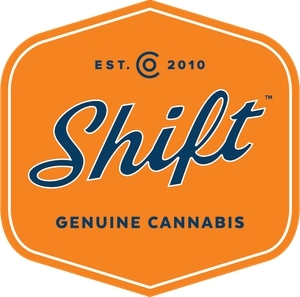 Sign Up for free to save time shopping Shift Cannabis - OPC's wholesale products on LeafLink. All together pleasant in a distinct way, this is one of the more complex StarDawg varietals in the arsenal. History: This has to be one of our most popular cultivars. The clone we selected out of 150 plants exemplifies quality, with tacky purple flowers that exude a grapey, wet and heavy aroma. Aroma: The flavor is like a new car, overwhelming and familiar. The juice of the grape breaks into a robust wooded flavor that lingers in the mouth for hours. High: Equally as pleasurable, easing you into your couch for the rest of the evening. History: Originally made by New House Seeds in 2010, using Kromes "The White" clone as a backdrop for our f8 Grape Krush male, Armagnac provides a grape escape. Aroma: Departing from today's modern grape varieties, Armagnac stings the nose with an initial burst of hot grape and plum. As the first wave of smells washes over your olfactory senses, a murky deepness of leather and earth brings up the rear of your pallet. High: Again, making a rapid departure from today's "pop" varieties Armagnac puts its best foot forward with an even-keeled high, not too strong and no slouch either. Many smokers will find the high akin to the first time they smoked. Genuine, hand rolled joints made from premium Shift flower. History: Some people cannot appreciate a true haze. For some, the complexity of the experience and the aroma are lost, while for others it’s a frightening endeavor. Our Black Haze x A5 haze x Super Silver Haze hybrid by Cannarado Seeds is multifaceted. Aroma: Difficult aromas to distinguish, metal, grass and faint sweet fruit aromas fade to a leathery, peat flavor. High: The high is chatty and light, you can be high for hours before you realize how high you actually are, what a treat! History: Created by Dutch Flowers Seed company in 1998, this is a classic reborn: one of the rarest and most important cannabis varieties from the early 2000s. Aroma: Living up to its namesake, notes of chocolate are discernible beneath layers of musk, wet earth, and mineral. Shades of a plum mix with the deep musk of the nose to provide an exquisite velvety exhale and mouthfeel. High: Chocolate Trip's base hits very hard, but still gives an extremely energetic, lucid, visual high. It has both a lot of "bass" and "treble," yet the overall tone is definitely speedy, like a dance track. The Chocolate Trip prowess is to satisfy the Indica and Sativa lovers equally, even when it is clearly sativa dominant in both high and taste. Bodhi's Appalachia was crossed to the medium-high CBD Harlequin to create GoodMeds, a great CBD hybrid. Using a potent StarDawg male, we created a beautifully unique THC: CBD hybrid. This variety is great for not getting too high. The aroma owes to the chemdawg heritage in the Appalachia and it mixes well with the father. The resulting aroma bounces into fruity and skunky smells that translate to the flavor remarkably well; however the smoke produces an exquisite cherry scent that lingers on the tongue and in the nose. The high is even-keeled and great for beginners who are just beginning to venture into smokeable cannabis. Aroma: This blend of the Original Diesel and heirloom Vietnam Black is amazingly hot, spicy and cool all at the same time. The scent mixes cucumbers and hot peppers with the faintest diesel scents to make a wildly hazy mix. The Vietnam Black is no slouch in this hybrid and shows its best side. The exhale is herbaceous as the hazy green scents become similar to Russian tea in the mouth. Clove and orange flavors last on the tongue after one smoke. High: Immediate and heavy in the head, relaxation takes effect almost instantly. This variety balances sweet, sour and leather perfectly. The fresh smell can dominate the nose but the flower cracks open to reveal the sweetness of the Texas cherry hash plant; Other mixed fruits come through and the sweet cherry smells influence the aromas to reveal a softer side. This hybrid came to us by way of a long time grower in the social area. The tight purple flowers are all indica in appearance, and the nose tells no lies, road kill skunk lingers on the background of the flowers when broken apart. And When smoked the oddly smooth and savory skunk flavor hits on the side of your tongue, giving yo the impression you are getting a real treat. The high is euphoric and felt mostly in the body, while not overpowering the high is a stand out on its own. History: The Zamal genetics bring together the Mauritius islands off the coast of Madagascar and Afghanistan. Zamal was developed in southern Spain for express purpose of a quick finishing sativa. Another unique and stellar offering a view into a different world, the Zamal looks its part of a spindly loose sativa. However its her hidden qualities that we are excited about. Aroma: Deep musky lemon grass, lavender, earth and electric pink fruits mix to create a unique and one of a kind aroma often unexplainable to many, however the depth of the aroma is a tantalizing teaser as peach and grapefruit dominates the flavor profile. High: is heavy when its smells and flavors give a false summit experience, the climbing high hits a flat point and begins to grow heavy and act like a weight. An absolutely wonderful variety.